I use Whole Psyllium Husks by NOW to thicken baked goods and anything from pancakes to cookies! Great for adding fiber and lowering caloric content! Great value & organic to boot. At first I worried the whole husks would be too coarse compared to the powder. Whole Pshyllium Husks by NOW Foods works just fine in shakes. I use Certifed Organic Whole Pshllium everyday for baking and it does a great job thickening my recipes! Works well as a gluten replace and does a great job binding ingredients together! 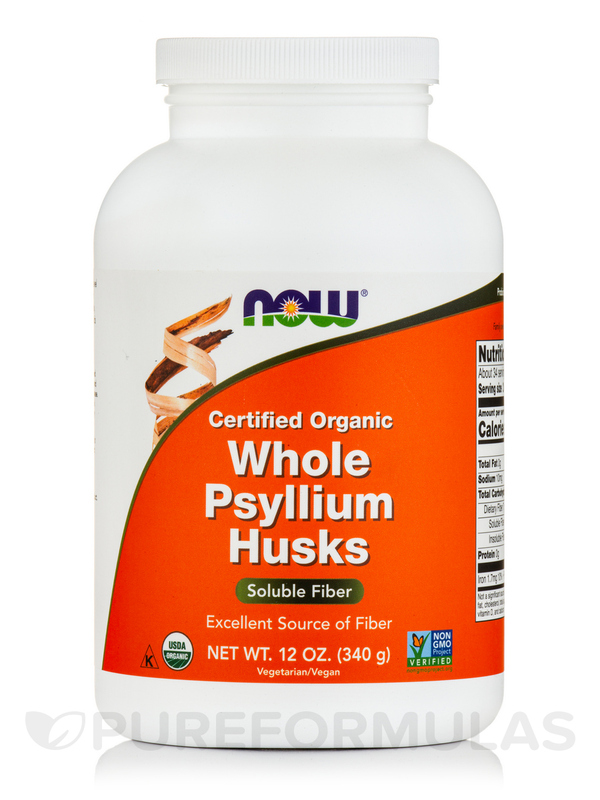 Support healthy bowel movement and improve intestinal health with Whole Psyllium Husks from NOW® Foods. This dietary supplement is free of milk‚ gluten‚ corn‚ eggs‚ wheat‚ yeast‚ salt‚ sugar‚ starch‚ preservatives‚ and shellfish. 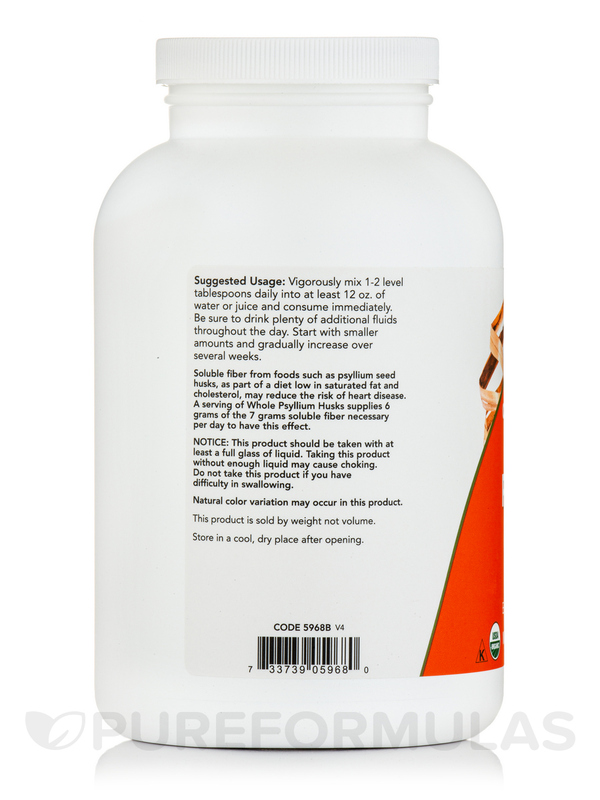 Plantago Ovata is a bulk forming laxative that develops bowel health and promotes regularity. It could potentially soften stool and reduce flatulence. 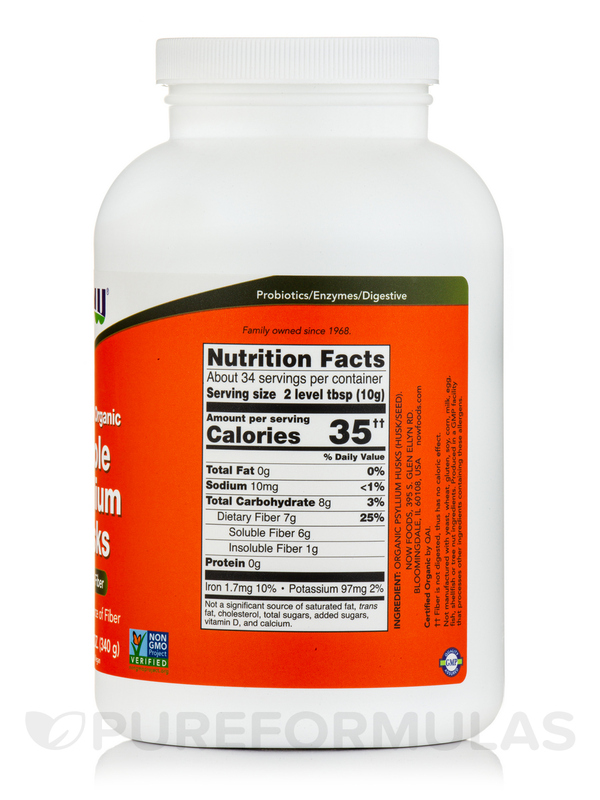 As a good source of fiber‚ psyllium in this dietary supplement from NOW® Foods may also alleviate low-density lipoprotein and triglycerides in your body‚ regulate healthy blood glucose levels‚ and support heart healthy living. Plantago Ovata may improve your digestive health‚ curb appetite‚ and help you lose weight. It reportedly reduces bowel discomfort‚ fatigue‚ and lethargy. Psyllium may also support the growth of healthy bacteria in your gut‚ strengthen immunity‚ and promote your body’s overall health and function. Make Whole Psyllium Husks from NOW® Foods a part of your diet and it could potentially provide necessary fiber to your body and support heart healthy living and regularity. ††Fiber is not digested‚ thus has no caloric effect. USDA Organic / Vegetarian / Vegan / Non-GMO / GMP Quality Assured. 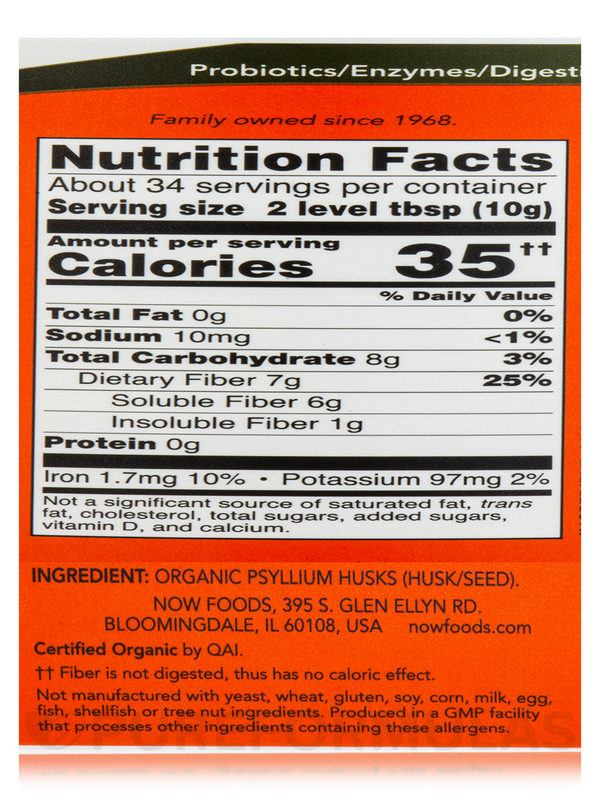 I use this Certified Organic Whole Psyllium Husks by NOW everyday for baking and it does a great job thickening my recipes! It works well as a gluten replacer and does a great job binding ingredients together! Thickens. Has fiber and a neutral taste. Is organic and at a good price. Thickens Fiber Neutral taste Organic, Good price. Holds up to high heat, thickens, whole husk. Brown husks, perhaps naturally this color. Favorite brand at a great price! 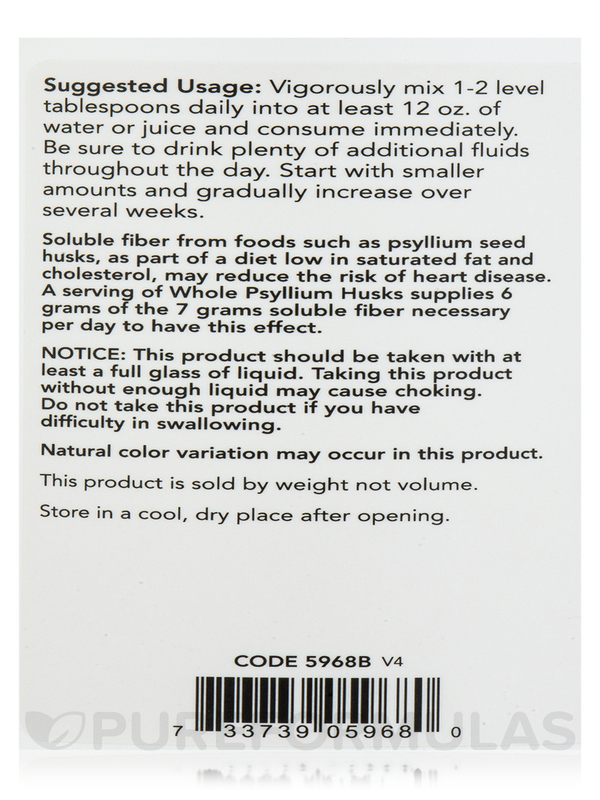 Whole Psyllium Huska by NOW has the best value I've found after researching many sites and stores! and NOW brand is so great! Clean ingredients, USA product, Organic! I need to clarify the review I did for the Powder Psyllium Husk Organic by Now Foods it is a lot gummier than this Whole Psyllium Husk. I like to mix the two--powder and whole to get a nice smooth drink. Both are quite effective in keeping the bowels regular. However I do find the Powdered one a bit more effective than the Whole. So the best solution is to mix both. Maybe less effective than the Powdered form if taken alone.